Bamix – Is It Worth It? Optimum versus Vitamix – Have your vote! Gooseberries in an Optimum 9400?! Our trip started with our arrival in Chicago. On the way to Clayton Missouri, which is in the St. Louis area; we stopped at the Midewin National Tallgrass Prairie. Had a good walk and started to add to the bird list. We arrived at the Sheraton Hotel Clayton on Friday evening in time to join some locals for dinner. This is the first event of our 2 day conference with the Keplar Space Institute. Saturday and Sunday were full of lectures and discussions on recursive distinction, soft logic, the mathematics of knots, plus and minus 0, etc. This was not for the faint hearted! Our journey to New Mexico resumed on Sunday afternoon when we reached Lebanon, Missouri. We had intended to attempt a walk at a Missouri State Park, but backed out because of the possibility of a tick attack. A very nice elder gentleman warned us of the ticks, noting that people sometimes come off the trail with as many as 50 ticks! Even though we had sprayed with insect repellent, we decided to abort. Too early in the trip for medical issues. So, the journey continued. Oklahoma was the next state after Missouri. Oklahoma is pretty flat and not much scenery after the first 100 miles of prairie. 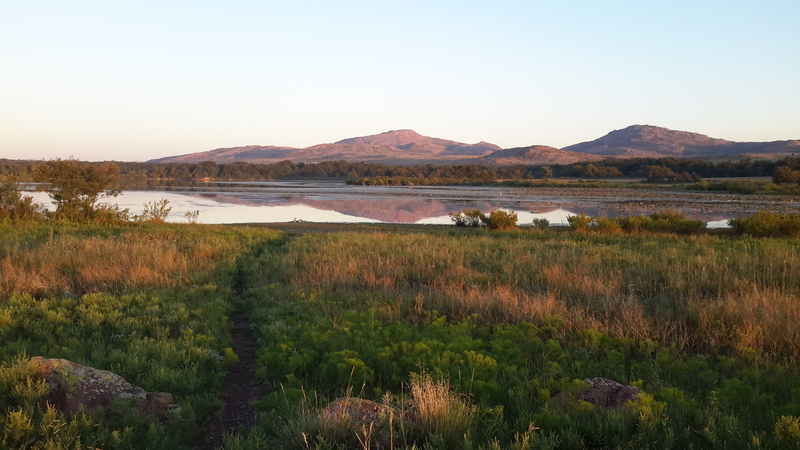 However, in the southwest corner of the state, there is a gem, the Wichita National Wildlife Refuge. 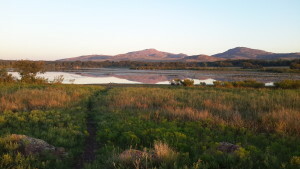 We manage some walking there and saw some amazing scenery and wildlife which included buffalo and prairie dogs. Next state we entered was Texas. It was pretty flat and boring, but since the speed limit on the very quiet roads was 75mph, we managed to get through in less then a day. 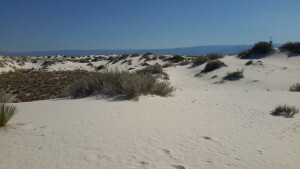 On our first full day in New Mexico, we started with a walk in Rattlesnake Springs where we saw some amazing birds including a Summer Tangier; followed by a walk in a dessert Canyon, then Carlsbad Cavern which is a National Park; and finally a drive through the Bitter Lake National Wildlife Refuge. The Alamogordo Museum of Space History was next where we saw a movie on black holes. After the conference with the Keplar Space Institute, it was an appropriate stop. However, this museum has seen better days and a facelift may be needed. American Indian cliff dwellings and walks through the Gila Forrest followed. 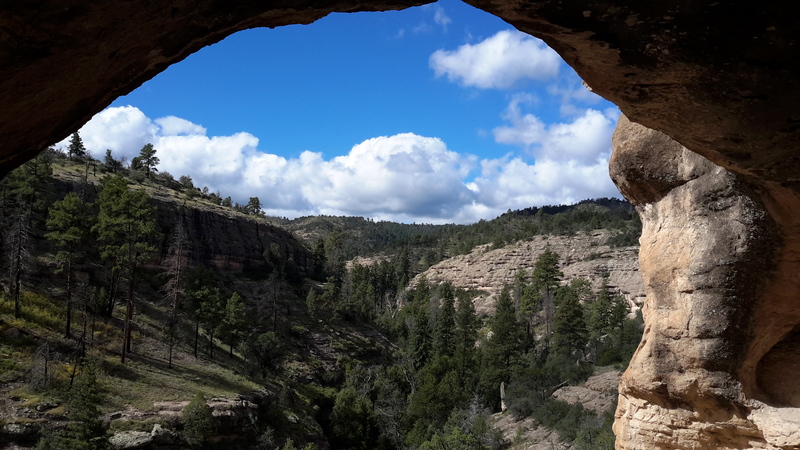 Below is a view from the cliff dwelling. We also managed to get on a tour of the Sky City Pueblo Mesa. It was interesting, but there were a few too many stalls trying to sell you Indian goods, not sure if any were imported from China? American Indians are noted for their silver jewelry; however, this craft was not taken up until the late 1800’s.. It was also interesting to hear about how the Indians were mistreated by the Spanish all in the name of religion. However, many still practice the religion of the Spanish (Catholicism). 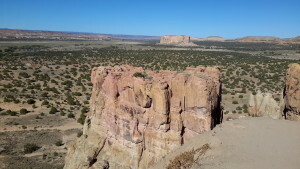 The El Malpais area was our next port of call. It included a walk around a crater and volcanic rocks. A few miles down the road we had an excellent stop at El Morro National Monument which is one of my favourite stops of the entire trip. 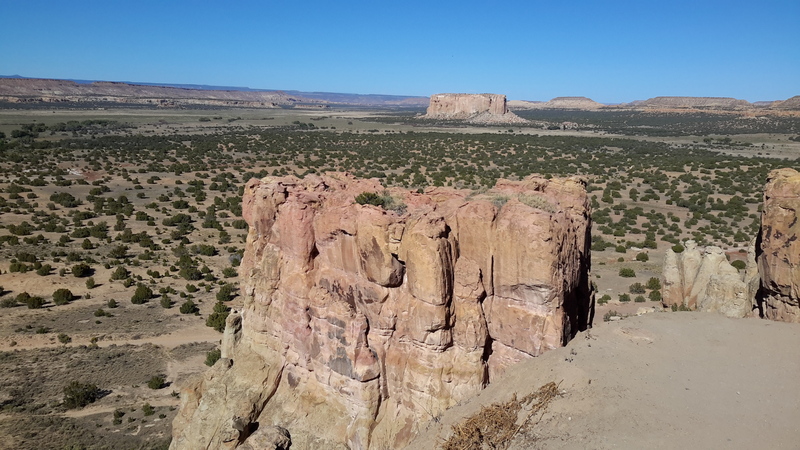 El Morro is comprised of large rock formations in the middle of essentially desert like conditions. It provided water and sanctuary for travelers. These travelers left their mark on the rock formation. These marks include petroglyph and historic signatures which date back to the Spanish in the 1600’s to US calvary in the 1800’s. We drove further down the road (like 60 miles) to the Zuni Reservation. Zuni’s are one of the earliest American Indian tribes. It was a small town with quite a few arts and crafts shops. 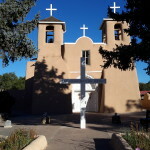 After a couple hundred miles driving back towards Santa Fe, we got to Los Alamos, New Mexico. Like several parts of New Mexico, there is quite a bit of government investment in defense. However, Los Alamos appears to have some more high tech and security investment other then just military. A beautiful area in lovely mountainous terrain. 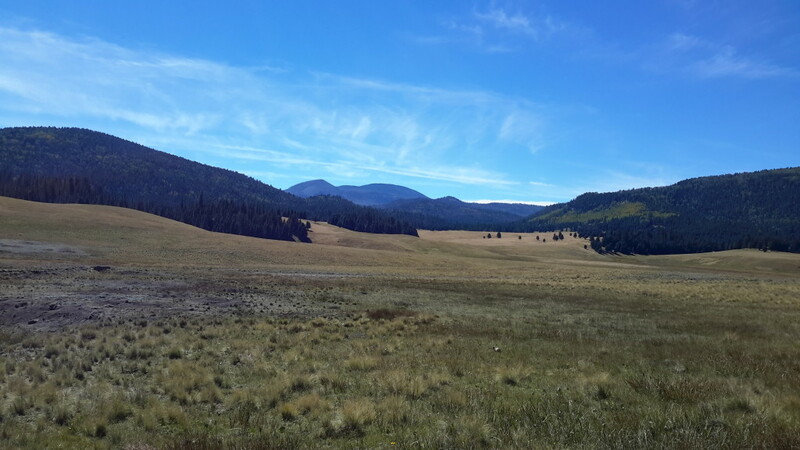 Close to Los Alamos (about 35 miles) is the Valles Caldera National Reserve (picture below) which we visited. This was a magnificent reserve. We saw a few of the 2500 elk in the distance along with 3 new birds. The day finished at a hotel in Taos that oozed southwestern style. and then a drive to the Rio Grande Gorge. 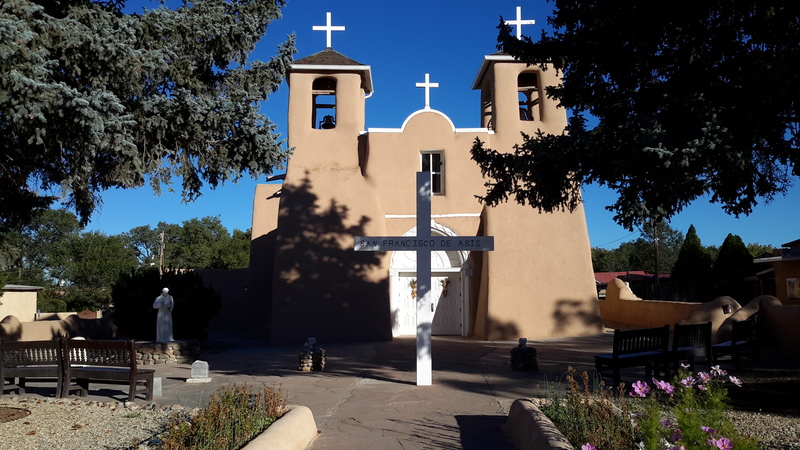 The following day in Taos was a very productive with a first stop at a St. Francis church; second stop was the Hacienda Martinez Ferdinand; third stop was a walk on the kit Carson National Forest; and then another walk at Eagle Nest State Park . A beautiful drive through Cimmaron Canyon part of the National Forest followed. Lunch was at Cimarron at the St. James Hotel. The St. James Hotel was popular in the 1800’s with the likes of Jessie James and Doc Holiday. It was part of the Santa Fe Trail. Unfortunately, as the railroad developed, Cimarron and The St. James Hotel was not on the route. The result is this lovely historic hotel in the middle of this very underpopulated and developed part of New Mexico. It was full of character and the food was very good. 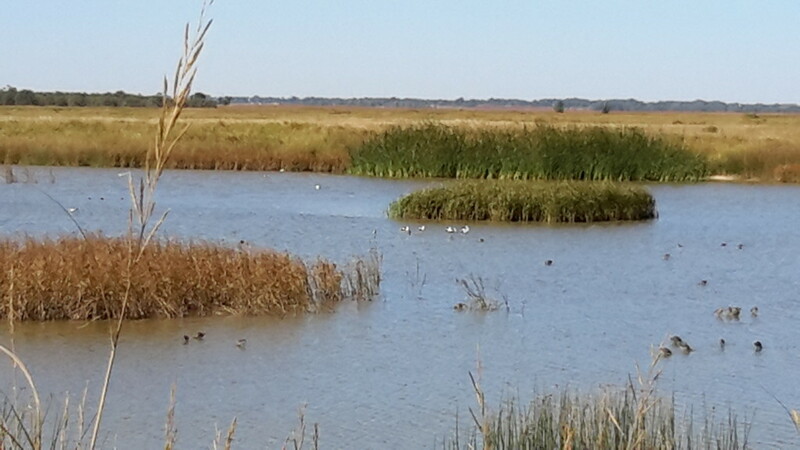 The day continued onto the Maxwell National Wildlife Refuge with a a great tour. 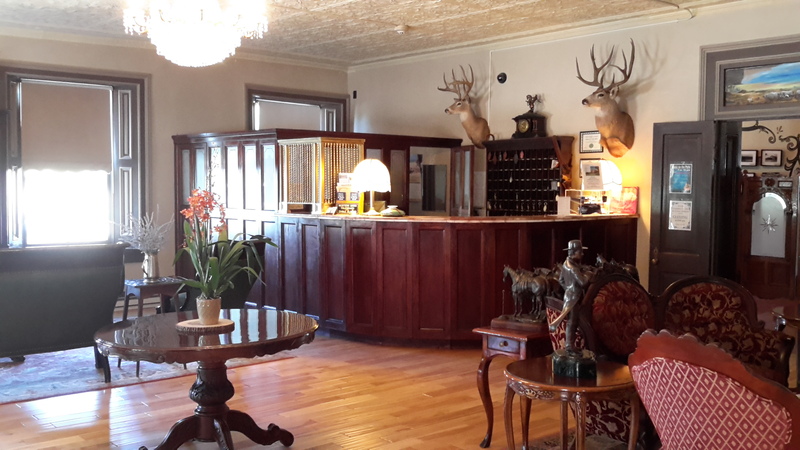 Finally, the day ended at Claynton New Mexico in the Hotel Eklund which was built in the late 1800’s. Again it was very full of character and noise. 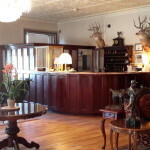 Unlike the St. James Hotel, the railroad was built by the Hotel Eklund. However, instead of bringing travelers, it just ships freight all through the night and every time a train comes through the whistle is blown several times! Full of atmosphere, but you don’t get much sleep. From Clayton, New Mexico, we start our travels to Kansas City. It is a long journey. 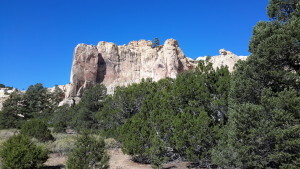 We make a short stop in the morning at Clayton New Mexico State Park which has dinosaur footprints. Then after about 6 hours driving with just a short stop at Dodge City for lunch; we arrive at the Quivira Wildlife Refuge in Kansas. It is a great reserve. It was late in the day so we went to Hutchinson, Kansas for the evening and returned for the next morning. The birds were numerous since many were on migration. We saw large flocks of American White Pelicans, American Advocets, long billed dowitchers, numerous ducks, swallows, sandpipers, etc. I am finishing this documentary of our travels to and from New Mexico as we make our final approach to Kansas City, Missouri. In 13 days we have traveled 4070 miles. Overall, it has been a great trip. Like most trips to the US, you go not for the quality of food or accommodation, but for the grandeur of the scenery. New Mexico delivers in this case!